Looking for that perfect spring dress? I found mine! 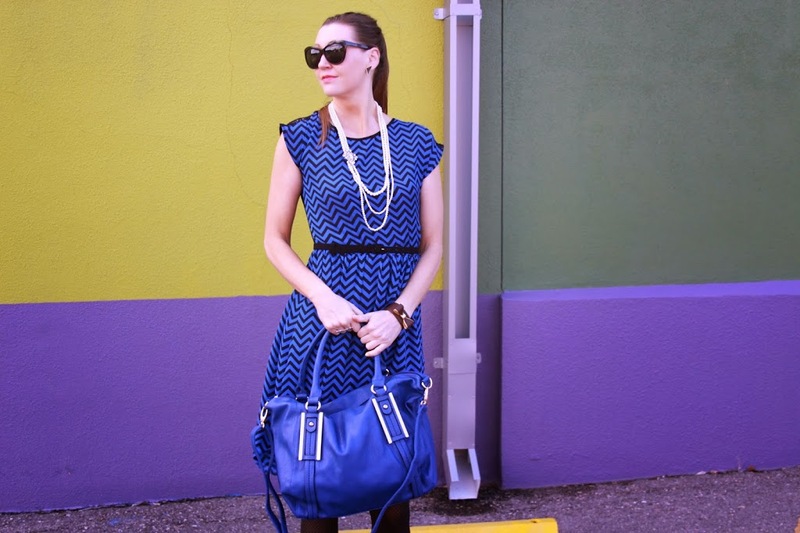 Chevon printed fashion is still going strong for spring and I found a lovely blue and black chevron print mini hi-low dress I can’t wait to wear all season long! This dress is lightweight and perfect for spring but still lined on the bottom half. The back of the dress has the most gorgeous open black with a lovely lace detail! When I put this dress on, I couldn’t wait to wear it out! It is so chic and I love the colors for spring. Although its a darker palette, the fun print still makes it perfect for warmer weather. I styled mine with a pretty pearl necklace and black ankle strap heels with a pop of hot pink to really set the look off. I also added my lovely brown bow bracelet and Blue hobo handbag from Our World Boutique as well! I’m obsessed with this dress and know I will be wearing it for many seasons to come! It is so fun and playful and perfect for so many different occasions. Best of all, this lovely dress is ON SALE right now for only $24.99 (Reg $49.99!) Hurry and shop it HERE today! This is just a glimpse of the fabulous fashion you will find at Our World Boutique, so don’t miss out! They have great sales going on all the time, on their already incredibly inexpensive fashion! Shop them at OurWorldBoutique.com! Right now, the lovely ladies of Our World Boutique, are letting me giveaway a $50 Gift Card to one of my lucky readers! *MyStyleSpot is not responsible for prize fulfillment. I was given this product for the purpose of review. However, all thoughts and opinions expressed in this post are solely my own. I only share reviews with readers I feel will be beneficial or informative to them in some way. I’m dying to find a ballerina skirt – tutu but midi length in my size for $50 or under…having such a hard time! My must have item every spring is a new pair of sandals from J. Crew. My Spring Essential is a new Colorful Handbag! I honestly don’t have a must have item for spring. I wear flip flops all the time in warm weather and this year need a new good pair that’s my go to pair so I will say flip flops. A cute new dress with leggings. a pastel kate moss handbag! How about some fun/cheap sneakers like this? I need some new sandals! My toes are dying to get some sun! My must haves for spring are flip flops, bright lipstick, and a cute handbag! My must have spring item is a new bag. My must have item is new colored jeans. That outfit is beautiful! I really like the way that the pink in your heels really pops! I think it would come together even more if you got a pearl necklace with a little pink in it as well. My must have for spring is a floral dress! Flip flops! I can’t wait for spring so I can wear flip flops again! Freshly dresses and flat sandals! Must have item is flowy, light prints skirts with soft colors. That is a really pretty dress. I love the back detail. A cute dress like this! 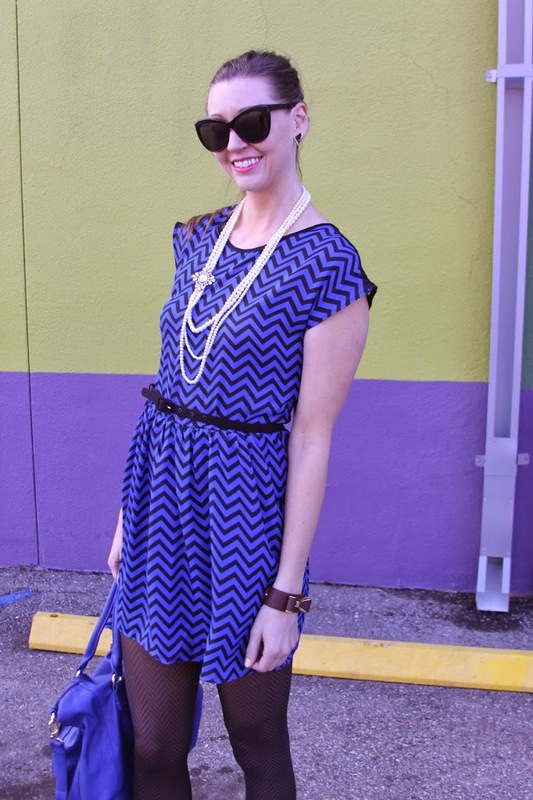 I love that chevron dress, it would look great on my girls! I should buy a pair of heels that go with all kinds of outfit. I LOVE that dress! And the bag fits perfectly with it! The dress looks a bit fluffy to me but in a cute way. I wish to buy this kinda garment for my girlfriend Ingrid. She loves wearing branded and beautiful clothes like this one. A New Pocketbook & Lots Of New Shoes!! only shorts!! !i love shorts for my summer! Im addicted to sandals and their even better if they are yellow! Sunglasses are a must too. BB with major sunscreen! I’m not joking – just moved to SoCal and it’s a skin nightmare. my must have for spring is my flip flops and tank tops oh yeah, i love them so much.